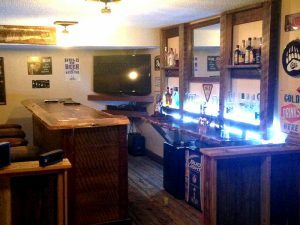 This western style home bar theme featuring rustic re-purposed barn wood home bar was built using the EHBP-02 Basic L-shaped bar design. 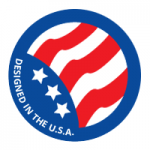 The L-shape home bar can be built in one weekend using basic tools and does not require a degree in architecture or blueprint reading to understand. Decorating it and applying theme materials, like the weathered barn wood, takes a little longer. This home bar makes a great focal point for fun home entertainment. 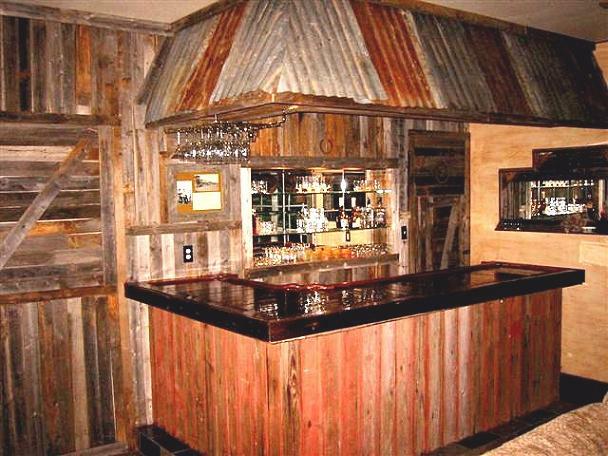 The photo below this is another featured rustic bar project, the rustic Montana Bar. This is an example of an outdoor bar built using reclaimed pallet wood. The project uses the simple EHBP-01 framing by the sheeting is all cut from free, reclaimed pallets. 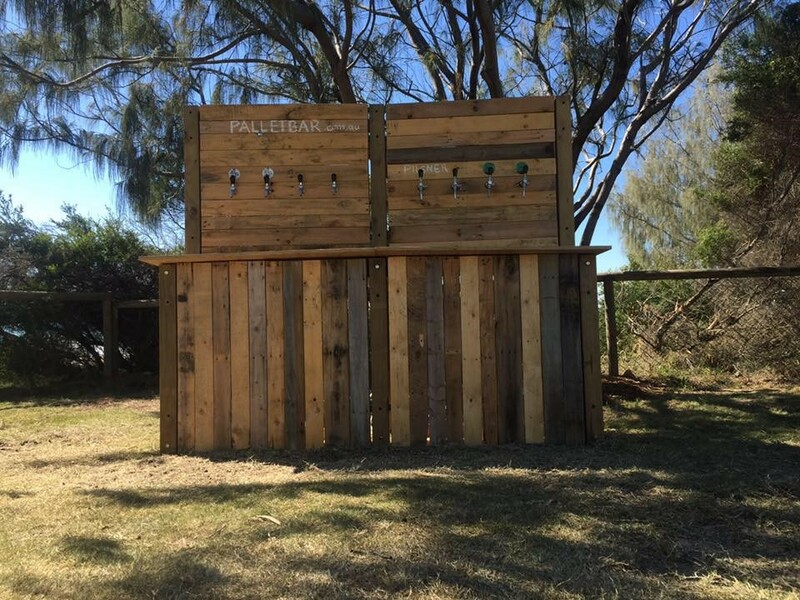 The back panels are also made from pallets and are used to mount multiple beer tappers. This is a great bar for hosting a wild outdoor beer bash. Here is another rustic home bar sample built using the EHBP-01 basic bar for the core bar framing. The outside of the bar was skinned with local recycled bar wood. The bar back also appears to be rustic. We have plenty of home bar photos featuring other similar style home bar projects.